Find Your 2019 Forecast Webinar – P.S. Albert Einstein was a 33! Master 33/6 lifepaths are Cosmic Whistleblowers, who need lifelong encouragement and public support to shine their light. People with this energy are destined to speak out on justice and social causes. That’s not easy, considering their fear of being wrong and often complicated early lives. 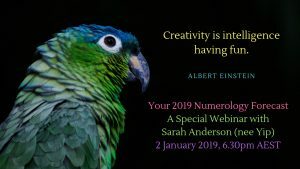 In 2019, a Universal 12/3 Year of Inner Child Healing and Creative Breakthroughs, 33 and 3 lifepaths will be in the spotlight. Get ready for some turbo powered opportunities to open your minds and psychic abilities folks! Your lifepath is your life purpose, or spiritual job description while you’re on the planet. It’s a number between 1-9, or 11, 22 or 33 (the latter are called Master Number lifepaths – some people include 44). Master Numbers bring double work for potentially double the reward and karma. A Master Number lifepath is like signing on for a PhD in Humanity, or a whistle-stop tour of life on Earth – it can be intense, especially during childhood. I should know, I’m an 11! Carrying Master Numbers is like owning a fast car at a young age – you tend to learn how to drive by crashing, especially before 30-35. That’s why it’s so important to study other people with your lifepath, so you can avoid the pitfalls and embrace the gifts. Not all Master Number holders choose wisely (see Notorious 33’s below). How do I know if I am a Master Number 33/6 lifepath? Your lifepath is revealed by adding your DOB from left to right. Read more on lifepaths. For someone born 18 January 1976, we add 1+8+1+1+9+7+6 = 33. 3+3 is 6 hence we write this 33/6. To me, 33 looks like people speaking, kissing, or a pair of butterfly wings (if you reverse one of the 3’s – see picture). It’s about authenticity, genuine connection, and being a spiritual high flyer. Someone with a 33/6 lifepath has free will to live as a 33 (Master Healer) or a 6 (Visionary/ Lover), which can result in them having different faces for different arenas (home vs work). In traditional numerology, your DOB must add to 11, 22 or 33 using at least two methods to be a ‘true’ Master Number (see my post on Master 22 Lifepaths). I don’t fully agree with this approach. Ascension, everyone is being stretched to their potential. As a 29/11 lifepath, I attract people with 11, 22, 33, 44, 55, 66, 77 and other double numerology. It’s worth noting that, Master Number energy affects everyone, irrespective of their lifepath. Wherever 33 appears, is where the Universe wants you to bring evolution and healing through communication. Even if you’re not a 33 Lifepath, reading this article means you’re probably married to, related to, parents or friends with a 33. Master Numbers usually run in families. I guess it takes one to grow one! I note that 33 appears in many religions. It’s associated with Christ Consciousness, as Jesus died at age 33. In Hinduism, the Yoga Sutra 3:33 translates as “through keenly developed intuition, everything can be known.” 33 is also an honorary degree given in Freemasonry. Read more on 33 spottings (external site). -All Master Number Lifepaths (11, 22, 33, 44) etc. are PSYCHIC whether they know it or not. They know things before others do. -They see 11:11 or repeating numbers such as 111, 2:22, 22:22, 3:33 (since it’s their lifepath), 4:44 and so on, once they are ‘ready’ to know their powers. 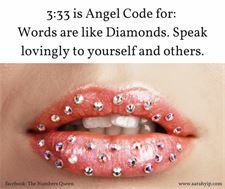 3:33 is the Angel Code for speaking up. Don’t gossip. Focus on the solution. Ask for what you want. Number sequences tend to appear when you are at a high or low point and need support. Remember – you are an immortal soul and there is no such thing as right or wrong, only what expands or contracts your energy. -3 represents the 3rd/ Solar Plexus Chakra and our gut instincts/ willpower/ ego. The Solar Plexus rules the Liver, blood sugar and digestive systems. It is our energy or power centre (hara). With the right mindset and actions, 33’s rise to the top of their field as a result of their competitive spirit. They respond well to subconscious healing such as past life regression and kinesiology, due to their strong mind-body connection. -33’s are strongly influenced by planets like Jupiter (3 energy) and Venus (6 energy). These planets give them big personalities and a love of company. They are courageous idealists. -Words like TEACHER, ROCKSTAR, PRIEST and the phrase WAKE UP CALL add to 33/6 in Pythagorean numerology (see the system I use). All involve positions of authority and communication. 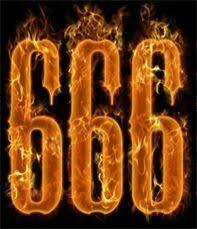 I meet many 33/6’s involved in educational, public and religious or spiritual pursuits. Dan Millman says they are often good writers. -The colour ORANGE has a 33 vibration, as do places such as the GOLD COAST, DARWIN, HAWAII, MEXICO and THAILAND – all the holiday and honeymoon places! Well, 6’s do love the good life. Pros of being a Master 33/6 lifepath: Natural Humanitarians and Leaders – they are bright, authoritative, tenacious, disciplined, articulate, social, expressive (deep down, 33’s are spiritual party animals! ), funny, adventurous, self-motivated (the 3rd or Solar Plexus Chakra is our Inner Warrior/ fire in the belly), fast learners (they are my wittiest and pushiest clients! ), productive under pressure and compassionate – they understand that there are less than six degrees of separation between every Soul on Earth. Lifepath 33’s enjoy having a family of their own, as they have double Inner Child (3) energy. Like all Master Numbers, they are connected to Star People/ Starseeds. That’s why many of them enjoy ‘starbaking’. 33/6s are fantastic at manifesting what they need. I once asked a 33/6 client how she found me. She said “I was driving on the highway, wishing someone would give me some answers – then you overtook me.” (My car has a sign for psychic readings on the back.) I said “hm, so you ordered me, just like Chinese takeaway!” Read more on manifesting miracles. -Actor Chris Colfer (who played Kurt, a gay student in Glee). -Author Nancy Friday, who wrote on controversial topics like female sexuality and liberation. -Controversial Australian politician Pauline Hanson, whose comments have fuelled many race-debates. Ironically, Pauline helped me to get my first radio interview! ABC asked my opinion of her when I was at a Rural Youth camp in 1996. Cons of being a Master 33/6 Lifepath: All Master Number holders face many tests of idealism, ethics and responsibility. As they are most successful at/ after the age of 33, they must learn patience. They can be prone to impulsiveness, mood swings (due to a busy mind), hyperactivity, control dramas (e.g. trying to rescue people), body image and eating issues (see my articles on anorexia and weight loss), self-criticism (especially if they eat a lot of sugar or empty carbs, which create impatience and a victim complex), addictions (see my article on alcoholism), allergies (e.g. gluten, dairy, chemicals) and burnout. They need fresh water and food (preferably organic), and are particularly sensitive if they have a Girdle of Venus. Exercise is a must, especially action to improve their core muscles and posture. As a teacher energy, 33/6’s find it hard to listen to people they don’t respect. (POLICE has a 33/6 energy and 33’s have a strong sense of justice). That’s why 33’s can be hard to school – they are eager to please but take criticism to heart. Give them a chance to mentor others and you’ll see them bloom. They aren’t rote learners – they value real-life experience. As 3 represents the intellect and ego it is extremely important that Master 33/6’s let go of the need to ‘look good’ and please others. They need to find a ‘greater God’ than public or family approval. The 6 in their lifepath means they need to maintain an open mind/ Third Eye Chakra to succeed. They respond well to spiritual disciplines such as yoga and martial arts, which teach balance. My biggest advice for people with 33 energy is to value yourself. No surprise, the word DIAMOND and phrases like WAKE UP CALL and ECLIPSE add to 33/6! Your life path may be hard but it’s also precious – you have the chance to touch many hearts in one lifetime. Spend your time, love and money wisely, because everything you touch turns to gold, either the false gold of ego materialism or the true gold of compassion. Praise yourself and your body. Remember that a No to illogical demands is a Yes to your sanity. And ask your Angels for help! 33’s have a hotline to Spirit, because they’re on a big mission. See my post on how letting people down can raise you up. Here’s a prayer to help: Dear Universe, thank you for taking care of everyone, and everything, everywhere, all the time, WITHOUT my help. Amen (visualise a whirlwind moving up and down your body, removing any stress before disappearing into the sky). By the way – as a palmreader, I’ve discovered that Master Number holders often have Composite Whorl fingerprints. They can be indecisive until they learn to trust Spirit – see this article.I hope you’ve enjoyed this intro to Master 33 Lifepaths. Remember, the 3rd Chakra is the Power Centre – as a 33 you are here to exercise your power with humility and grace. I dedicate this to my Master 33 lifepath clients and friends. A big thank you to Amanda Morrison, Laura di Mambro, Guy Bennett, Nat Cook, Greg Dodge, Butterfly, Tamara Hansson and Mai. -Share this with other Master 33 holders, or people who see 3:33 and numbers like 11:11. Knowledge is freedom! Please maintain integrity by sending them a link to this site. Sarah Yip – Hi Sonja, extremely grateful we could connect, thanks for your support and good on you for exploring your numbers in so much detail. It really does bring you freedom and clarity. Love the story about the YIP numberplate, and I wish you all the best with your re-education adventures. 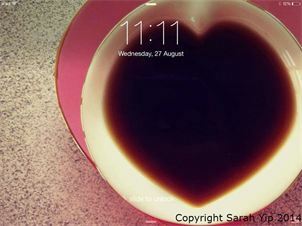 Sarah Yip – Glad to be of assistance, in my experiences there are no coincidences, only closely observed miracles. Sarah Yip – Hi Edward, thanks for your honesty but I strongly disagree that life is a scam. As someone who works with Spirit and humans for a living, there is much to be grateful and joyous for. It’s just buried under a lot of expectations and limiting beliefs for most people. I encourage you to seek more light-hearted company and to question your belief systems around the status quo. As a 33 lifepath you are here to create the change you want to see in the world, even if it takes decades to see the results. See my psychic reading for Nat Cook, also a 33/6 lifepath. Also my post on my deceased friend Butterfly, a 33/6 lifepath who profoundly touched my life. Sarah Yip – Thanks for your confirmation and support Eric, it’s great to hear from you. For ethical and time reasons, I don’t offer personal information via the blog, but you’re welcome to book a session.There’s also plenty of information in books and on the internet. I wish you the best with your hunt for your next steps. Sarah Yip – Hi Edward, thanks for your query, yes WAKE UP CALL adds to 33/6 and you certainly sound like one of the 11:11 See’rs I write about all the time. See my 11:11 clocks page for many articles and videos. Sarah Yip – Thanks Sparkle, wish you all the best with your reunion with Lemurian energy in Hawaii. Sarah Yip – Thanks for your positive message Steve, sounds like you know exactly what will lift you higher! Sarah Yip – Thanks for writing in. I believe we are all capable of great love and great destruction, it’s a matter of choice. 33 energy can take you quickly up or down depending on who you surround yourself with, and how you fill up your mind and body. Best wishes. 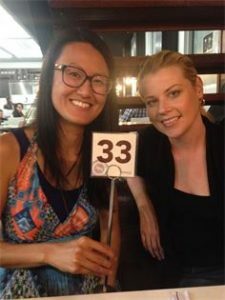 Sarah Yip – Hi Patricia, the experience you describe and DOB you’ve given are very 33 in my books at least. Please look through my blog as I write frequently on how to live with Master Numbers in a joyful way. I also suggest meditation to bring you back to your core – here’s an article as a starting point. Sarah Yip – Thanks Meeta, great to hear from you. I only do past life regressions in person and occasionally by Skype. Have a look in your local area for practitioners – those trained by Brian Weiss are good. Sarah Yip – Thanks Shero, I wish you the very best with your exciting turning point. Sarah Yip – Hi Heba, glad to hear your confirmation. In the system I use you’re a 24/6 however if you resonate with 33/6 go with that too – our lifepath is only 50% of our numerology forecast plus there are many Master Number hybrids walking the Earth. Wish you well. Sarah Yip – Hi Michael, thanks for checking in. Best to see my Find Your Lifepath page and decide for yourself what’s truest. Sarah Yip – Thanks for your kind invitation and feedback Izad. As a busy mum who’s also pregnant, I’m not able to meet people unless they’ve booked readings or workshops with me. This is part of my commitment to staying sane as a psychic and setting boundaries, which is part of my Master 11 lifepath. Appreciate your understanding. Feel free to stay in touch by signing up for articles and checking out my facebook. Wish you all the best. Sarah Yip – Hi Michael, I appreciate your sharing and also want to encourage you not to box people in as ‘real’ or not. We change lifepaths every lifetime so it’s best not to get too attached to our numerology but rather use it as a guide. As I write in my article on karmic debt, it’s common for people with Master 11/22/33/44 numerology to have plenty of homework to do from other incarnations. No one is more worthy than another, numbers are by themselves neutral. Sarah Yip – Hi Helen, absolute pleasure to hear from you and thanks for taking the time to validate this post. Wishing you an ever-expanding journey of happiness and inner music. Feel free to stay in touch via my email list and facebook. Thank you Sarah. I LOVE THIS! I’m a 33 born on 11.28.1983. we are all here to raise the vibration of love. Within ourselves first and then on to the rest of the world. Yay!